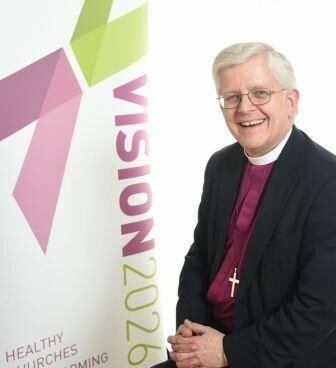 As a Diocese we are working together to implement our 'Vision 2026: Healthy Churches Transforming Communities', writes Bishop Julian. Before I explain more about our Vision please take a moment to watch this video, available on our Diocesan YouTube channel and featuring people from parishes across our Diocese which covers most of Lancashire. The video was originally produced for and shown at a series of prayer evenings across the Diocese in autumn 2015 and was viewed by thousands of people at large events such as our Preston Guild Hall Vision evening in 2016. Our Diocese, originally part of the Manchester Diocese, was created in 1926. So for nearly nine decades prayer and worship has been offered throughout the region, not only on Sundays but every day. Throughout this time we have been showing the people of Lancashire that God loves them, not just now but for ever. The Church, of course, is the people of God, and every week some 34,000 gather in our churches to worship Him and to be equipped to serve Him in their communities and places of work and recreation. Every week we welcome some who are enquiring about the Christian Faith. Vision 2026 is not ‘my’ vision, it’s ‘our’ vision; a vision behind which we can all gather to make a make a difference to the people of Lancashire. I pray that you may find something here that will help you in your response to the invitation of Jesus Christ to 'come, follow me'.